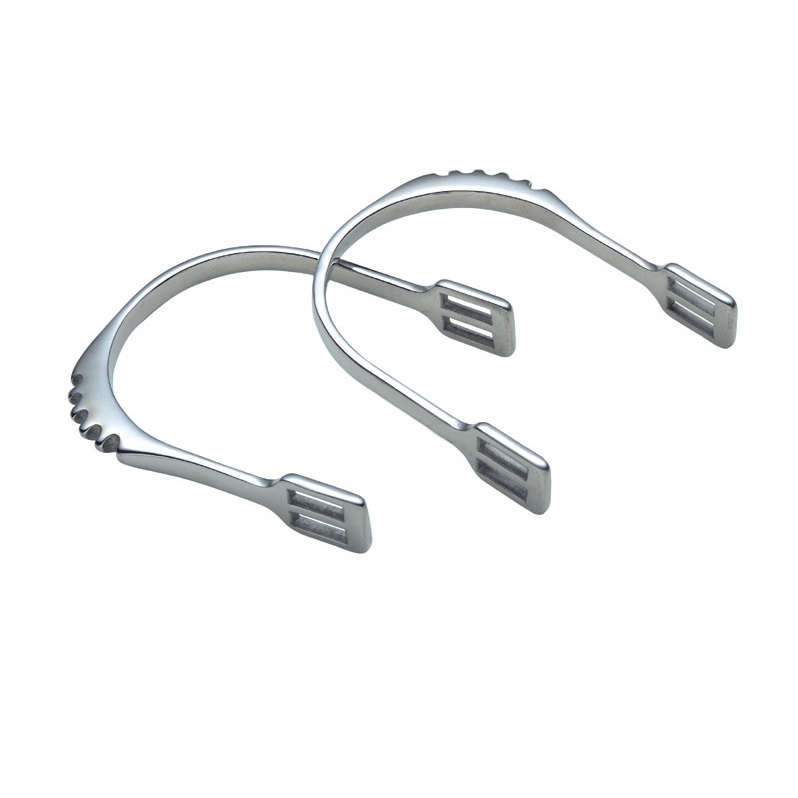 Comb Design Stainless Steel Spurs from Shires Equestrian. The comb design removes the need for the rider to turn the heel in order to bring these spurs into action. Designed for use whilst showjumping or eventing as the lack of neck prevents accidental injury to the horse if rider looses balance. Stainless Steel, onesize.